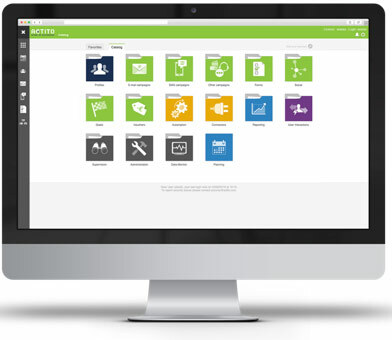 ACTITO built their Marketing Automation suite with the needs of marketeers in mind. The “AGILE” customer lifecycle marketing solution allows marketeers to deploy acquisition, loyalty, cross-selling, and welcome programs. The platform is based on innovative CRM marketing methods and software, enabling 1to1 interactive communication through multiple channels (paper, email, SMS, Web). The ACTITO platform helps manage the various channels to follow your customers’ journey and interact at the best moment. Marketers will be able to quickly make use of the full power of ACTITO. ACTITO was founded in 2000. They have offices in Belgium, the Netherlands, and France and serve customers worldwide. 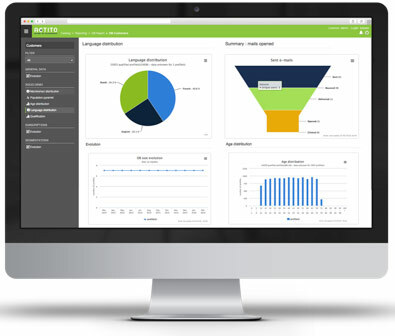 ACTITO’s team includes more than 60 marketing professionals with experience in data-driven marketing. Customer centricity is the cornerstone of their philosophy. The relationship with your customer is what will create business value. Hence their slogan “Return on Relationships”. ACTITO enjoys lasting relationships with clients such as Toyota, Carrefour, Lunch Garden, Generali, ABB, RTL and Deutsche Bank – in a broad range of sectors: automotive, financial services, retail, consumer goods, media, pharmaceuticals and more. 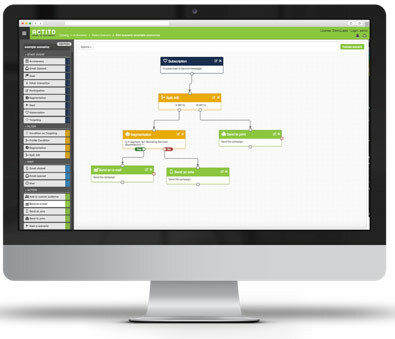 ACTITO has built a Saas based Agile Marketing Automation Platform that adapts to the marketers’ needs. Powerful, agile and easy to use. The automated campaigns and scenarios enable you to be more relevant in your marketing activities and adapt your messages in real time. ACTITO understand that every industry has specific needs. This is why they have built vertical solutions combining the agile marketing automation platform and bespoke services to ensure that clients use all the capabilities of ACTITO to get the best return on their marketing investments. ACTITO seeks to work closely with clients. From strategy to implementation, they are partners for the CMO. The customer-dedicated teams are an extension of a team, supplying the skills you or your agency might need. We call this continuous rightsourcing. This way of working offers a quick setup, smart learning and systematic progress towards a customer-centric vision.